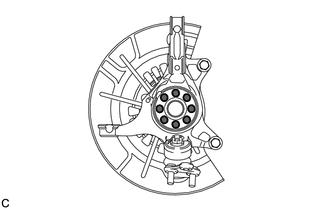 (a) Install the front disc brake dust cover to the steering knuckle with the 4 bolts. 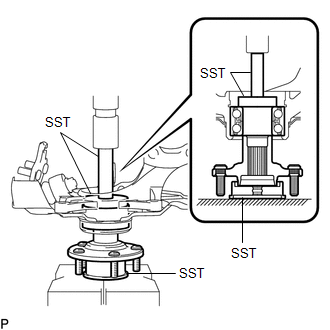 (a) Using SST and a press, install the front axle hub sub-assembly to the steering knuckle. 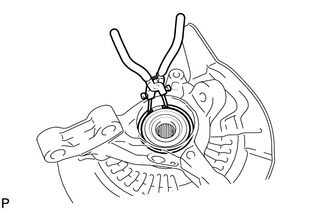 (a) Using snap ring pliers, install a new front axle hub hole snap ring. 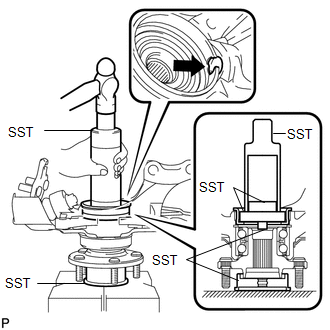 (a) Using SST and a hammer, install a new front No. 1 wheel bearing dust deflector. Align the cutout for the speed sensor in the No. 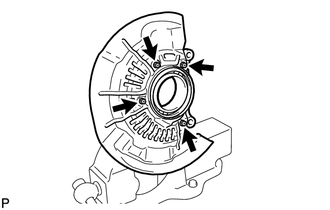 1 front wheel bearing dust deflector with the hole of the steering knuckle. 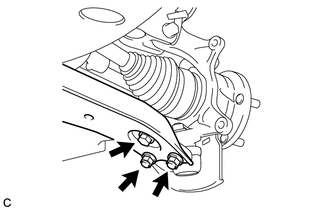 (b) Install the front axle assembly to the front shock absorber with the 2 bolts and 2 nuts. 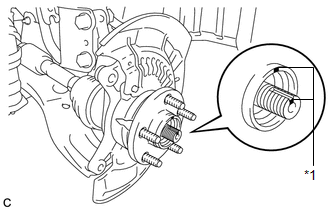 (a) Align the matchmarks and install the front drive shaft assembly to the front axle hub sub-assembly. 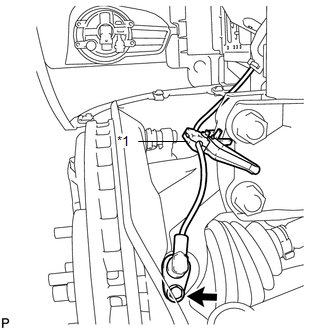 (a) Install the front lower suspension arm to the front lower ball joint with the bolt and 2 nuts. (a) Clean the threaded parts on the front drive shaft assembly and a new front axle shaft nut using a non-residue solvent. 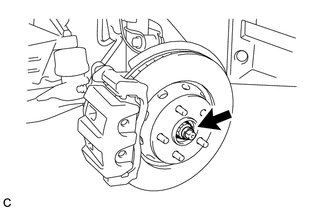 Be sure to perform this work for a new front drive shaft assembly. (b) Using a socket wrench (30 mm), install the new front axle shaft nut. 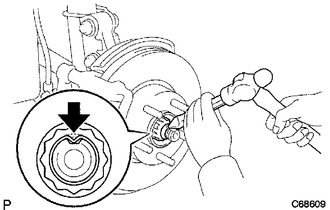 Stake the front axle shaft nut after inspecting for looseness and runout in the following steps. 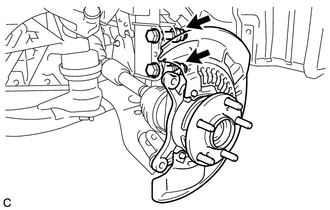 Keep depressing the brake pedal to prevent the drive shaft from rotating. 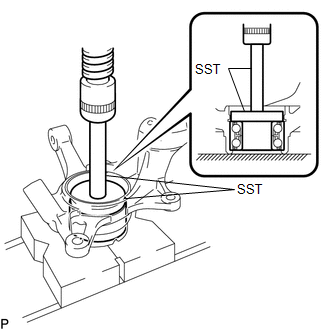 (a) Using a chisel and hammer, stake the front axle shaft nut.